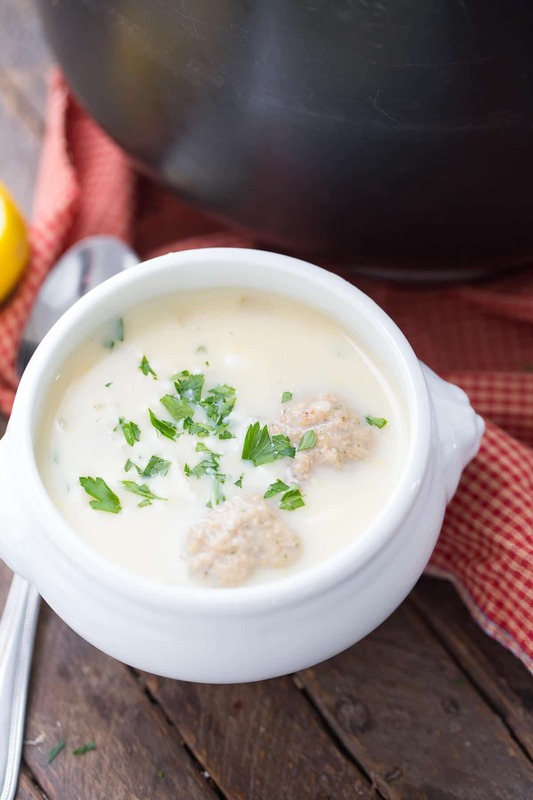 Avgolemono soup is a simple Greek soup that is tangy and rich tasting. 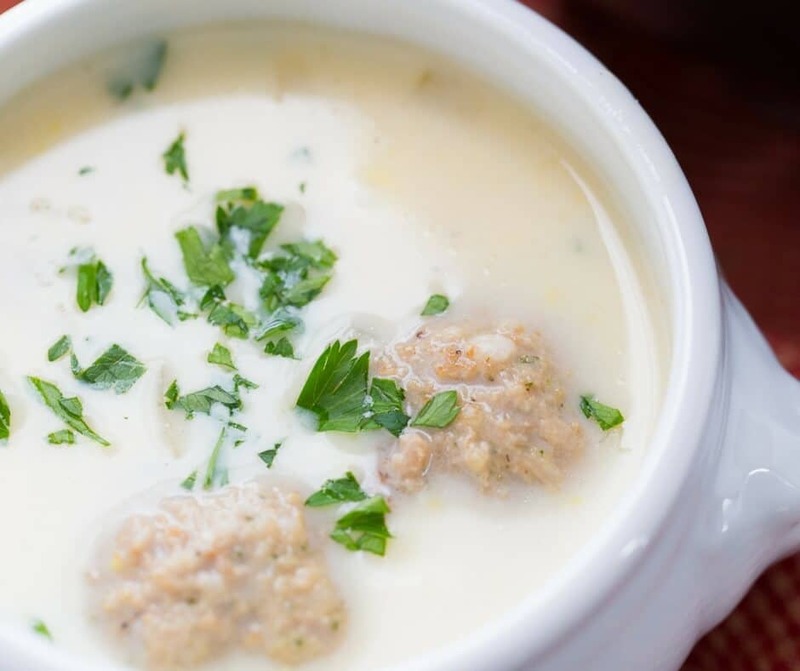 This is the kind of soup that will make you feel good from the inside out! 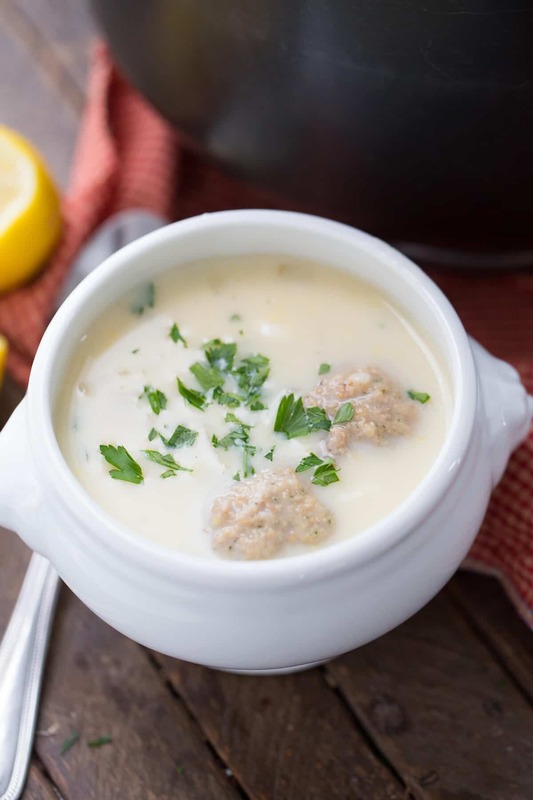 I’m fairly certainly that the first food that Greek babies put into their mouths is avgolemono soup. It’s not the bland, mushy rice cereal I fed my own babies. 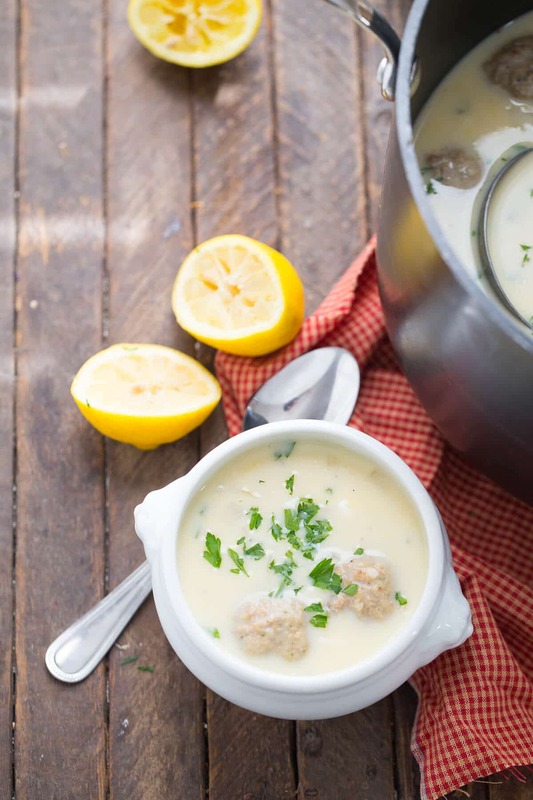 For as long as I personally can remember, avgolemono soup has been a big part of my life. This soup was a staple in my home growing up, we had this soup on a regular basis, it was easy, quick, affordable and holistic. 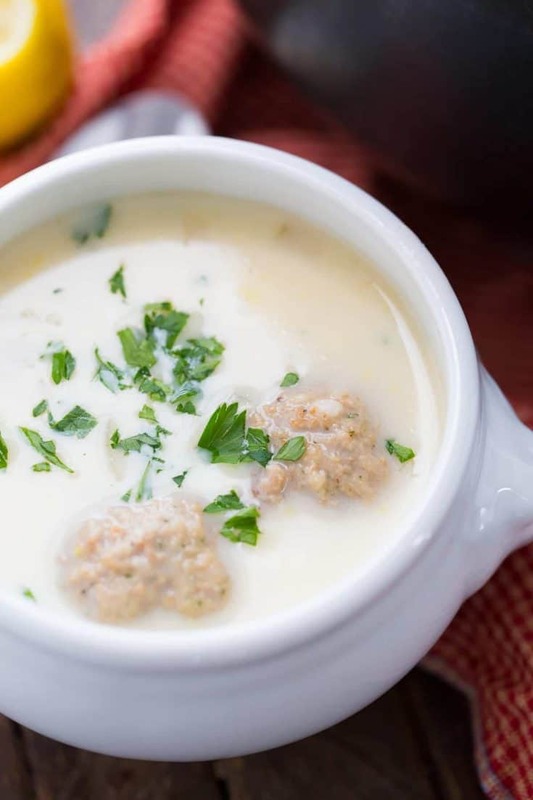 Chicken soup has long been touted as the cure for the cold and the flu, but I think this egg-based soup is the real cure for ailments and pains. As mentioned above, this soup is not complicated as only a handful of ingredients are needed. But the tangy and thick soup with the tender rice floating about satisfies your belly and your soul. 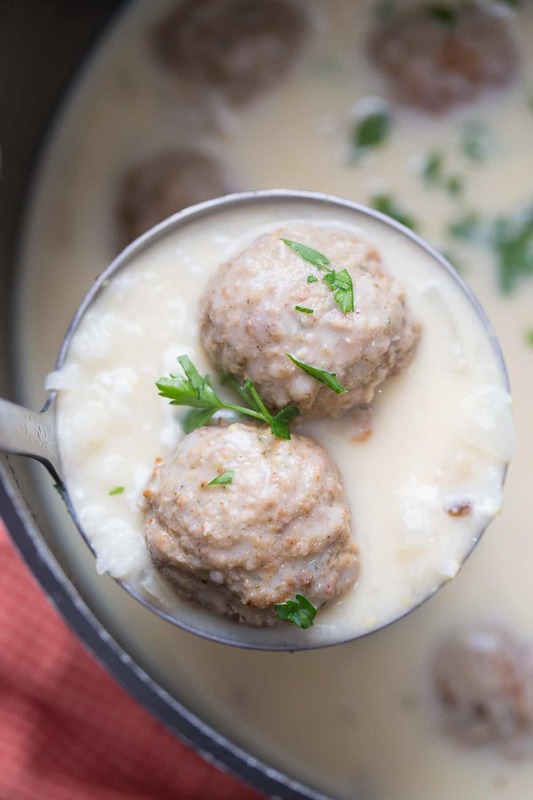 When mom was in the mood she would add meatballs, but often we ate the soup in it’s simplest state; which was rice, broth, lemons, and eggs. I know, you are hung up on the eggs, right? 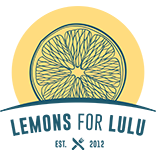 With avgolemono, you cannot have the lemon without the egg and you cannot have the egg without the lemon. Those two ingredients are what makes this soup comfort food. 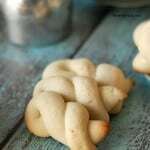 This recipe can be made with or without meat. Chopped or shredded chicken breast is often used in this soup, or you can omit the meat and keep it vegetarian. 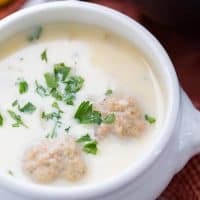 I used Honeysuckle White Turkey Meatballs because I love the flavor but also the turkey keeps everything on the lean side. You have to be careful with the eggs in this recipe. If you add the eggs to the hot broth, you will end up with scrambled eggs. You will have to “temper” the eggs. This is done by whisking your eggs in a bowl and add a ladleful of the hot broth to the eggs, whisking the whole time. When the broth is fully incorporated and the mixture is smooth and slightly cooled, you are ready to whisk the egg mixture INTO the broth mixture. KEEP WHISKING! This will help everything meld together. 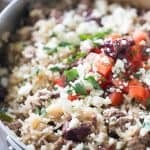 his easy Greek gyro skillet meal is so quick and easy! It makes feeding your family a breeze! 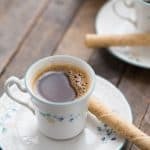 Greek coffee is a MUST for coffee lovers! 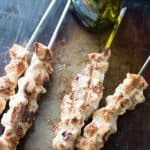 Chicken Souvlaki is a Greek staple! This easy grilled chicken is added to pasta, crisp and fresh vegetables and then topped with a homemade dressing. Sweet lemon cookies are the perfect sidekick to that Greek coffee! Heat the chicken broth in a stock pot over medium heat. Bring to a boil. Add rice, reduce heat and cook covered until rice is tender. Using your preferred method, prepare meatballs according to package directions. In a separate bowl, whisk the eggs. Continue to whisk as you slowly add lemon juice. Add a ladle of hot broth into the eggs, whisking constantly. Reduce the heat on the broth and add egg mixture to the broth very slowly, whisking the whole time. Keep the heat on low and whisk so that the eggs to do not curdle. Serve immediately. I’m guessing you mean, do not curdle, in the last sentence? Thanks for catching that, no curdling, please. It’s amazing how I can proofread a dozen times and miss one little word.